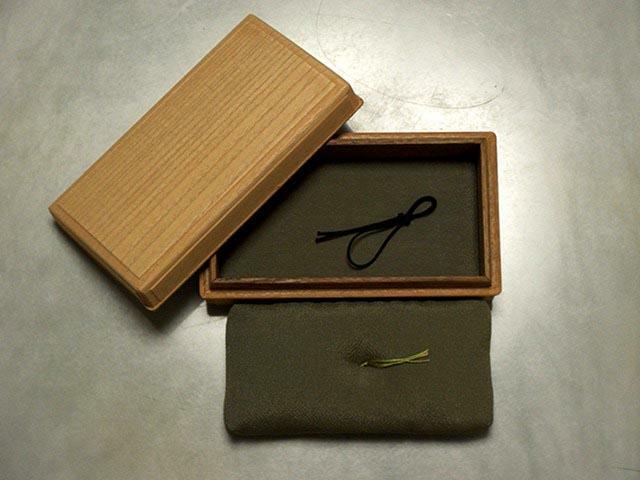 Framed Pawlonia wood box for menuki or kozuka with green silk rest and cushion. Dimensions 1.75 inches x 3.13 inches x 5.63 inches (4.45 inches x 7.95 x 14.30). Free delivery.